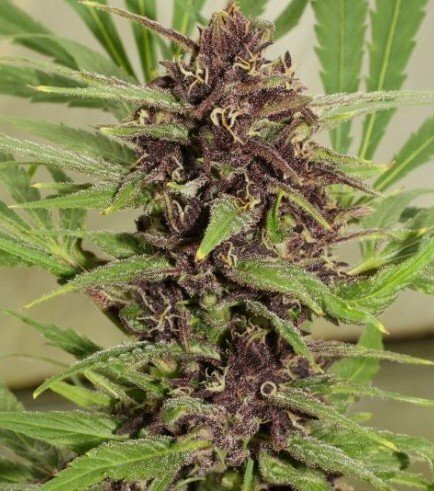 The crossing of Super Skunk x Purple Star, Frisian Dew is an award-winning outdoor cannabis strain that is just as famous for her stunning purple looks as she is for her superior growing traits and potent high. 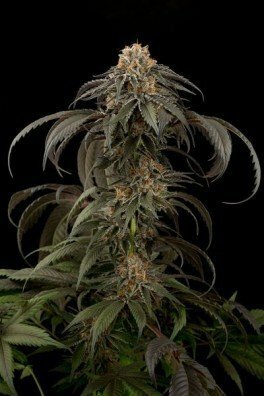 She is a 50/50 hybrid, allowing her to grow some big yields in a relatively short amount of time; she is also highly resilient to mould and disease. Frisian Dew flowers in 7.5 weeks. Dutch Passion is immensely proud of the Frisian Dew. It took approximately 20 years to come across the perfect phenotype, which consistently generates bountiful yields and solid growth. Her beauty is breathtaking; upon gazing at her magnificent buds, you can just sit there, mesmerized for hours. The buds are of a very high quality, and ganja enthusiasts around the world have approved of her legendary status. 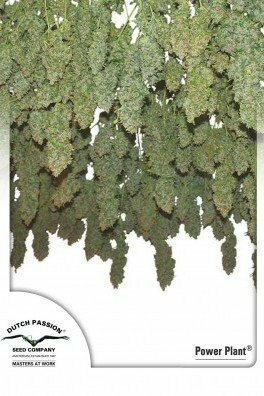 Indoor and outdoor growers will receive heaps of buds from their Frisian Dew plants. We’re talking about XXL yields! One must ensure the growing and curing area is spacious. After only 7.5 weeks of flowering, Frisian Dew is ready for harvest. 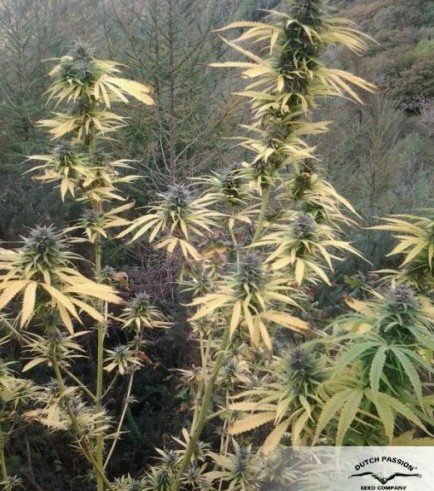 Outdoor growers from colder climates should definitely consider this strain. Outdoors, during the end of September or beginning of October, Frisian Dew should be cropped. She can become relatively tall. When grown indoors, ScrOG and topping methods are a must. She’s also quite resistant to mould and diseases. 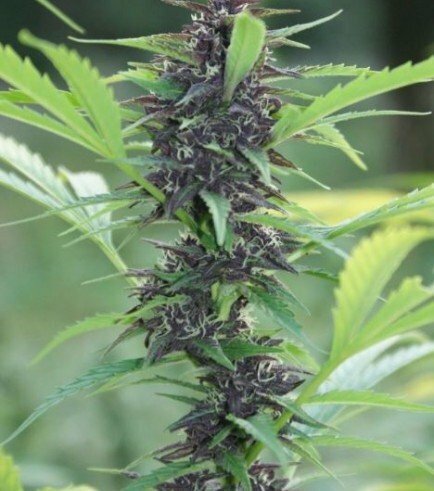 This spectacular strain derives from a Super Skunk female and Purple Star male. 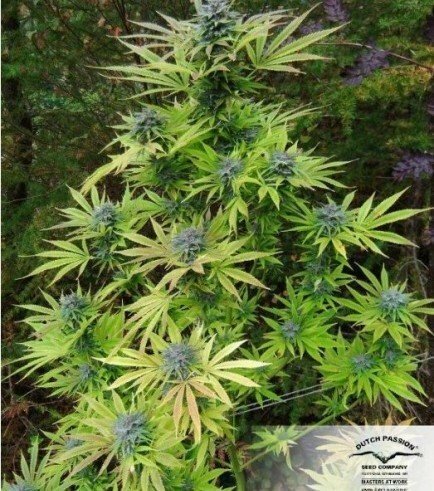 Dutch Passion has been hybridizing both strains for the past 20 years. In the last 3 years, they focused on the Frisian Dew phenotype, which comprised all the qualities a ganja farmer could desire. The nugs are light purple, covered in delicious resin, which ornaments the calyxes and sugar leaves with perfection. 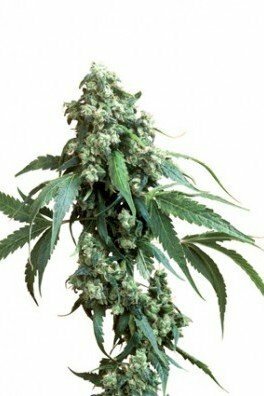 Frisian Dew is 50% sativa and 50% indica, therefore an all-around high can be expected.